If you’re a business owner in Tullamarine, there’s no better testing and tagging service than Anmar Solutions. We’ll make sure that you’re on top of your responsibilities as outlined in the Occupational Health and Safety Act 2000, helping you create a safe working environment for your employees whilst also ensuring that all of your electrical equipment is running efficiently. We are passionate about keeping workplaces safe but we are also passionate about making it easy for our clients. That’s why we provide you with the highest-qualified technicians who have been handpicked by our board of directors that have over 40 years’ experience in the electrical services field. Why Choose Anmar Solutions For Your Test and Tag Service? You can rely on our service because these three pillars govern every aspect of it. That means every time we come out to perform a test and tag service at your Tullamarine business, you can expect the same commitment to excellence and customer care. Our three pillars, combined with the skill and experience of our team, mean that you can rest assured that your workplace will receive the finest service. Our service is designed to ensure that each piece of electrical equipment is compliant with the standards set out in AS/NZS 3760: 2010. 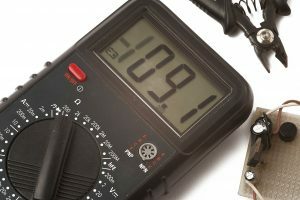 We use a Portable Electrical Appliance Tester, as well as a series of visual tests, to ensure your electrical equipment is safe for use, in good working order and working efficiently.